Last year Freddie was sent a Matchstick Monkey that soon became his best friend. He took it everywhere with him, and it honestly helped him so much with his sore gums. He got his teeth really quickly and now has a full set of teeth. However, he still likes chewing things and so when I was asked if I'd be interested in receiving some of Matchstick Monkey's new product - Muslin's, I instantly said yes. The main reason being that Freddie used to love and still loves his Matchstick monkey. There are 3 different colours to choose from Blue, Pink and Grey. Each muslin has a different design all related to the Matchstick Monkey. I was really pleased with the high quality and how soft the muslins are. 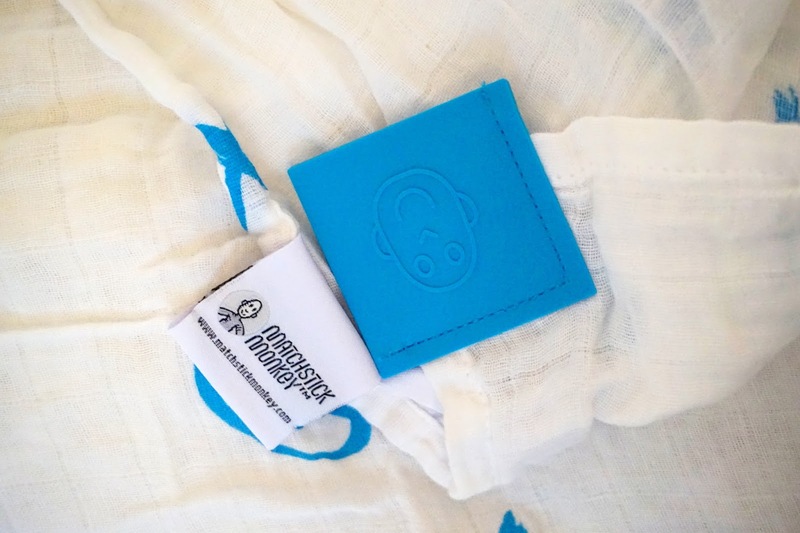 Each muslin square also has a chewable square in the corner, which is great for teething. Not only are muslins handy for cleaning milk from their little mouths, but they're great for comfort too. Having a chewable label makes it perfect for extra comfort and possibly a new comfort to take to bed. They're perfect from newborn as they're so soft. All 3 muslin squares are packed in a lovely gift box which makes it a perfect gift for a new baby or even an older baby who is teething. 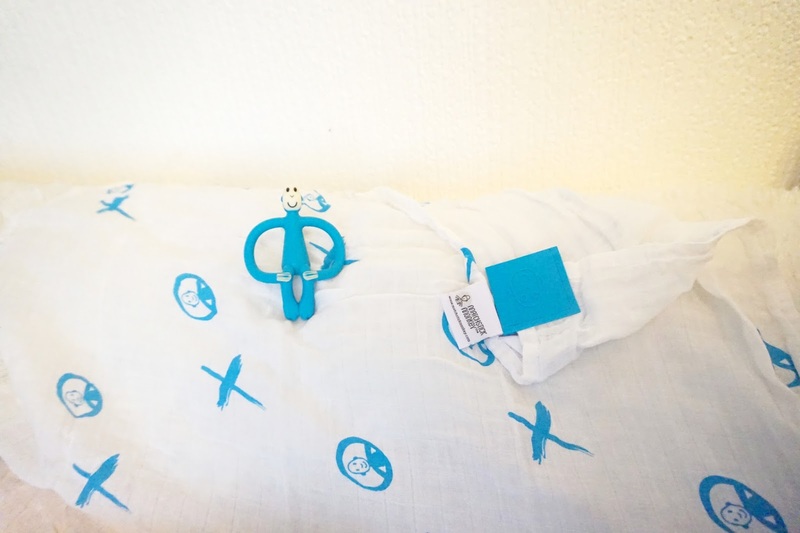 They are 100% organic cotton and soft for your babies skin. The silicone label is BPA free which makes it safe for chewing and teething. * We were kindly sent these muslin squares by Matchstick Monkey. However, all words, opinions and photos are entirely my own.